Cu@swansea is a partnership between Swansea University and the City and County of Swansea which aims to breathe life back into the site of the former Hafod-Morfa Copperworks. 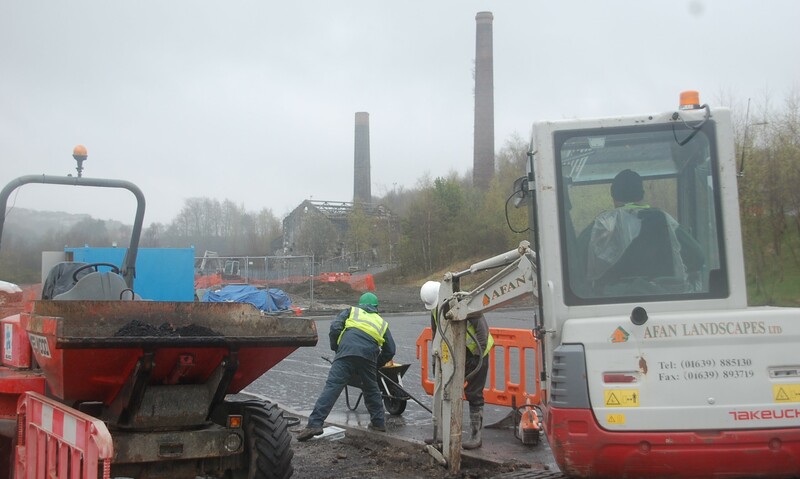 In 2012, the CU@Swansea Project started a programme of physical works to reclaim the site from dereliction and enable people to visit and reconnect with the site. Consolidation of buildings most at risk including Laboratory Building and canal walls. The project also carried out a range of activities to connect with as many people as possible including the public, schools and community groups. The Hafod-Morfa Copperworks occupies an important place in the memories, histories and identities of local people and the process of reconnecting people to this important part of their history has been important and rewarding. A strong friends group has emerged, schools groups and the public have got involved in a range of activities and over 8000 people have attended events at the site. The Cu@swansea partnership is grateful for funding of £541,000 the Welsh Government’s £19m Heritage Tourism project, administered by Cadw. This comprises £277,000 funds from the Welsh Government and a sum of £244,000 from the European Regional Development Fund. The project subsequently secured a further c£500,000 from the Welsh Government (Swansea Regeneration Area). Swansea University has been able to access additional research funding link to its connected communities project (link to connected communities site here) and has contributed over £100,000 in match funding in staff time. Three Phd Students have developed their research on the site and another dozen students have leant their research skills and resources to take the project forward). The Cu@Swansea received the Parthian and Library of Wales award for outstanding impact on culture the arts and sport. The heritage work of associated connected communities project was also nominated for THE (Times Higher Education) awards. Work continues to unlock the potential of the site and restore the function of innovation, education, entrepreneurialism, wealth creation and world leadership that the site traditionally provided.